Ahoy Mates! 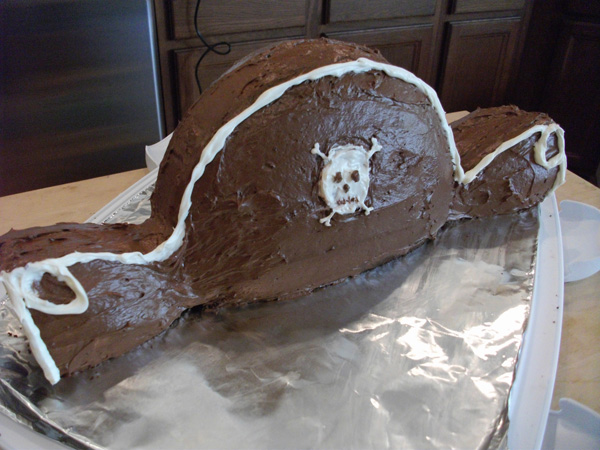 In honor of Talk Like A Pirate Day I thought I would bring this fun cake recipe out again and share it with you. It is really easy to make this pirate hat cake. 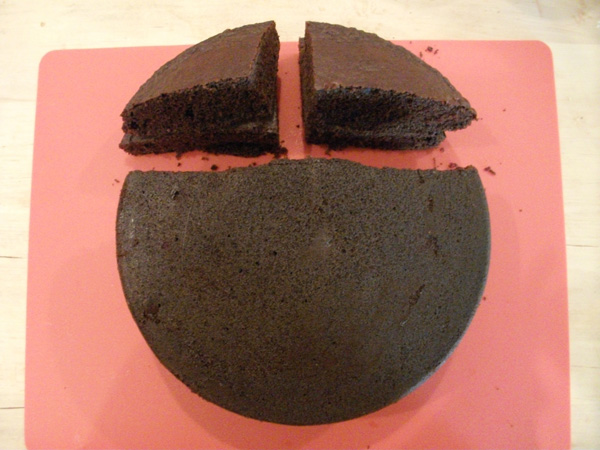 First take any flavor of your favorite cake and bake it in two 8 or 9 inch round cake pans. Once the cakes have cooled you will need a serrated knife like a bread knife to cut the cakes into the right shapes. Cut a straight cut about a quarter of way down from the top of the cake. Then cut the top piece you cut off in half. Turn the bigger full piece around and place the small pieces at the ends of the full piece of cake. You will need two tubs of chocolate frosting and a tube of white decorators’ icing to frost and decorate the cake. 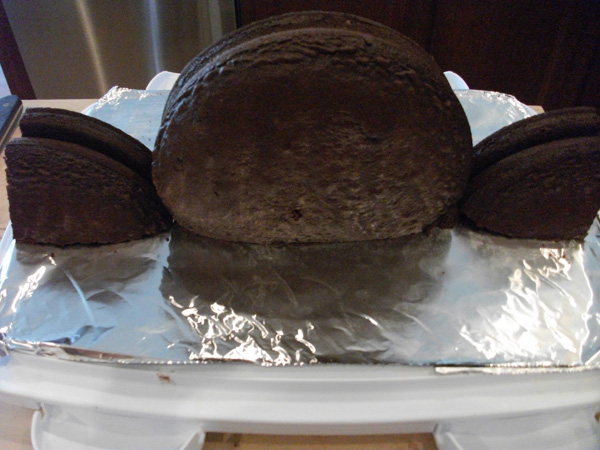 Cover the cake in chocolate frosting and then pipe with the white icing the outline of the edge of the hat. Use the white icing to decorate the skull on the center of the hat. Then, using a sandwich bag, fill it with a small amount of chocolate frosting and snip the end of it to put on the features of the skull. Enjoy!